A former cruise ship entertainer, the Liverpool-born beauty Claire gained fame on the soap Brookside. After leaving the show, Claire returned to her singing and dancing roots, winning a starring role in the West End production of Chicago and releasing a debut album. 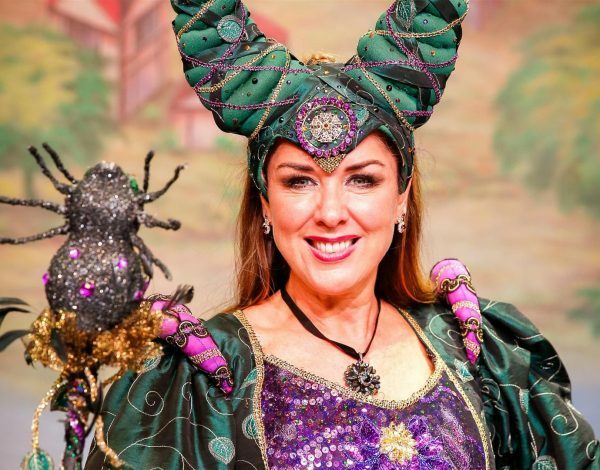 Currently staring in the hit pantomime in Kent “Sleeping Beauty” at Assembly Hall, Tunbridge Wells, we were lucky to get some time with the Wicked Fairy of the panto… oh yes we did! How did you get into acting, was there a performance you saw that resonated with you? The show that got me into theatre was Blood Brothers, I must have been 10 years of age when I first saw it and it moved me so much. I saw it and I thought, that’s what I want to do. What has been your favorite role you have played and why? Guys and Dolls! Miss Adelaide opposite Mr Patrick Swayze in the West End. Dream job, dream role and dream co-star! Elliot Clarke’s stage school in Liverpool and Italia Conti stage school in London. Where has been your favorite place to perform on stage and why? The Royal Albert Hall, singing at the Remembrance Day festival, my song from my album ‘When you Believe’ whilst poppies cascaded from the ceiling and ex-service men and women marched onto stage with me. At the moment because I have a 4 year old son, I have a new vigor for my work as I see all my shows through the eyes of a 4 year old. 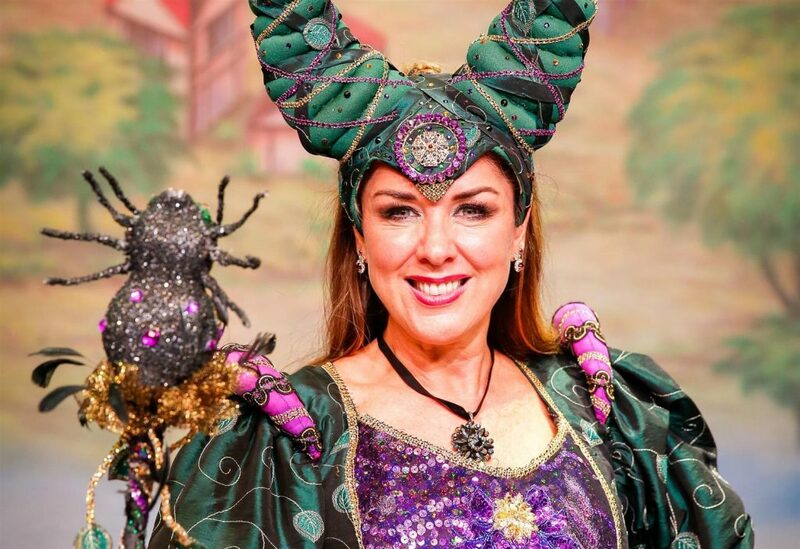 Today at the panto! The children were screaming so loud with such excitement and involvement that none of the actors on stage could hear themselves, we just crumbled laughing! I also enjoy the moment when you see children genuinely enjoying live theatre which is positive. Stay positive, believe in yourself, work hard, turn up on time, always be nice to cast and crew, and just get on with it! Now, it’s my son, all of my decisions are based on him and the pleasures in life often involve him. If you hadn’t had been an actor what would you be doing? I would be a special effect’s makeup artist. Hot yoga and being with my son. At the moment it is Baby Shark in the shower, but not for an audition! Is there a role (regardless of gender) you would love to play in a show?